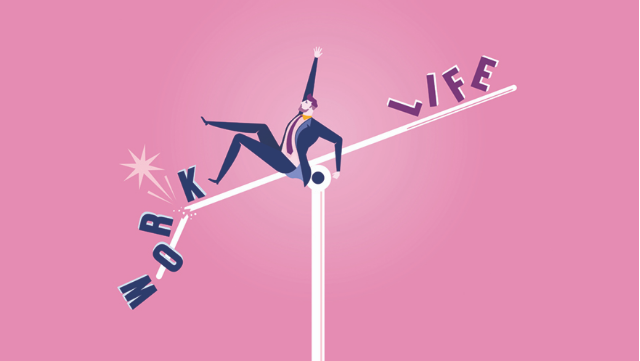 Esther Canonico, fellow at the LSE's Dept of Management, sums up the pros & cons of working from home for all employees seeking work-life balance. A better work-life balance: Remote or home working has been associated with lower work-life conflict. Improved organisational commitment and job satisfaction: The use and availability of remote working is linked to increased organisational commitment. Enhanced job satisfaction is also related to an greater sense of autonomy and control. Higher productivity: Remote working may give employees the flexibility to manage the demands of their jobs and private lives better. Remote workers lack the distractions of the office and tend to be less involved in office politics, meaning they have a chance to focus more effectively. Having a high level of discretion over the conditions under which their work is conducted (eg, choosing to work in the hours when one is most efficient) could also lead to productivity gains. Employees working from home may simply put more hours into work: they may have more time than office-based workers as they do not have to factor in a commute and choose to use this extra time to work; or they may feel the need to reciprocate the flexibility provided by the organisation. Blurring of boundaries, which may lead to increased work-life conflict. Employees working from home report working harder and longer, suggesting that working from home is a form of work intensification rather than freedom. Professional isolation: Feelings of isolation from colleagues are often cited and have been linked to reduced performance and lower organisational commitment. Homeworkers who report experiencing a lack of contact are more likely to feel disconnected from the organisation. Reduced opportunities for career advancement: Employees may feel that working from home gives the impression that they are not as committed as office-based colleagues and fear they might miss out on career opportunities. Those experiencing feelings of isolation report reduced access to informal development opportunities, learning and mentoring. Research suggests that private-sector employees are more likely to report that homeworking leads to a reduction in career development opportunities. Less job satisfaction: Research has suggested that increases in job satisfaction drop off as homeworking becomes more extensive. When the extent of homeworking is small, homeworkers can minimise negative effects (such as isolation and frustration) and benefit from the feelings of increased autonomy and higher job satisfaction. However, extensive homeworking also increases the likelihood of isolation and frustration, which may counteract the benefits and reduce job satisfaction.